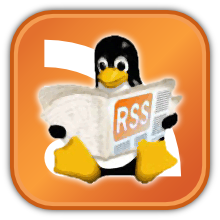 Home » Guides and Tutorials , Multimedia , Music » Installing Ardour in Linux: Setting Up Your System. Installing Ardour in Linux: Setting Up Your System. 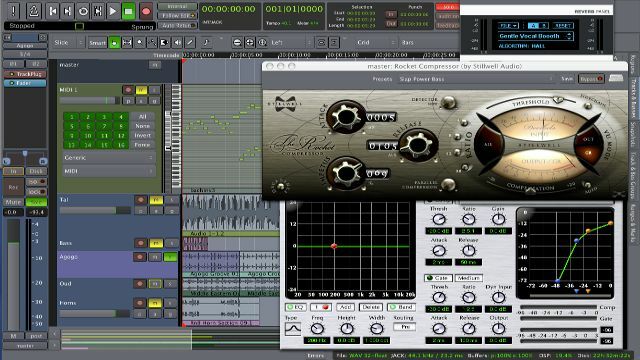 Ardour allows you to record and edit both audio and MIDI data, add many different kinds of effects and mix. Released under the terms of the GNU General Public License (version two or any later version), Ardour is free software. Users who download from ardour.org are asked to pay at least $1 for downloading prebuilt binaries of Ardour; those users then have the right to obtain minor updates until the next major release. Without paying, users can download the full source code for all platforms, or a prebuilt OS X binary which lacks the ability to load or save AU plugin settings. Currently (as of June 2013) the OS X binary is an older version without MIDI sequencing capabilities. Ardour's intention is to provide digital audio workstation software suitable for professional use. Grab yourself a nice audio interface. Plug in a microphone or a keyboard. Add a track. Press record. Got it. Import audio or MIDI from your hard drive or the Freesound database. Cut, move, stretch, copy, paste, delete, align, trim, crossfade, rename, snapshot, zoom, transpose, quantize, swing, drag, drop. All with unlimited undo/redo. All in the same window. Mute, solo, fader, automate, EQ, dynamics, insert, send, pre-fader, post-fader, sync, monitor, isolate. Floating point fidelity, the most flexible mixer architecture in the industry, hundreds of plugins, and external control surfaces. Using a general purpose computer for recording digital audio is not always trivial. This chapter will guide you through the basic steps and help you with some of the most common pitfalls. The Right Computer System for Digital Audio. It would be nice to think that you could just go and buy any computer, install a bit of software on it and start using it to record and create music. This idea isn't wrong, but there some important details that it misses. Any computer that you can buy today (somewhere around the end of 2012) is capable of recording and processing a lot of audio data. It will come with a builtin audio interface that can accept inputs from microphones or electrical instruments. It will have a disk with a huge amount of space for storing audio files. When you are recording, editing and mixing music, you generally want to work with very little delay between the time that a sound is generated and when you can hear it. When the audio signal flows through a computer, that means that the computer has to be able to receive the signal, process it and send it back out again as fast as possible. And that is where it becomes very important what computer system you have, because it is absolutely not the case that any computer can do this job well. Routing audio through a computer will always cause some delay, but if it is small, you will generally never notice it. There are also ways to work in which the delay does not matter at all (for example, not sending the output from the computer to speakers). The delay or "latency" that you want for working with digital audio is more typically in the 1-5msec range. For comparison, if you are sitting 1m (3ft) from your speakers, the time the sound takes to reach your ears is about 3msec. Any modern computer can limit the delay to 100msec. Most can keep it under 50msec. Many will be able to get down to 10msec without too much effort. If you try to reduce the delay on a computer that cannot meet your goal, you will get clicks and glitches in the audio, which is clearly extremely undesirable. Many, many things can affect the lowest latency that a computer can support. If you are using an audio interface connected via USB, and sometimes even if you are not, the precise configuration of your system's USB ports can make a big difference. There are many cases where plugging the interface into one port will work, but using different USB port results in much worse performance. This has been seen even on Apple systems. Ideally, you'd like your USB ports to all connect directly to the main "bus" inside the computer. Some laptops (and possibly some desktop systems) come wired with an internal USB hub between the ports and the system bus, which can then cause problems for various kinds of external USB devices, including some models of audio interfaces. It is very difficult to discover whether this is true or not, without simplying trying it out. If your audio interface is forced by your computer to share an "interrupt line" (basically a way to tell the CPU that something needs its attention) with too many, or the wrong, other devices, this can also prevent the audio interface from keeping up with the flow of data. In laptops it is generally impossible to do anything about this. In many desktop systems, it is possible at the BIOS level to reassign interrupts to workaround the problem. SMIs are interrupts sent by the motherboard to tell the computer about the state of various hardware. They cannot be (safely) disabled, but they can also take a (relatively) long time to process. It is better to have a motherboard which never sends SMIs at all - this is also a requirement for realtime stock trading systems, which have similar issues with latency. This technology is becoming less common as actual multi-core CPUs become the norm, but it still exists and is generally not good for realtime performance. Sometimes you can disable this in the BIOS, sometimes you cannot. A processor that uses hyperthreading will be less stable in very low latency situations than one without. This doesn't affect the flow of data to/from the audio interface, but it can cause the flow of data to/from your disk storage to become much slower. If you are going to use a computer in an environment with live sound, make sure to place it so that the disk is not subject to noticeable bass vibration. What actually happens is that the vibrations cause the mechanism inside the disk to detect read errors, and this forces a retry of the reading from the disk itself. Retrying over and over massively reduces the rate at which data can be read from the disk. Avoid this. What Can Ardour Do With MIDI? MIDI is a way of both describing musical data and controlling musical hardware\software. MIDI doesn't actually create any audio but rather describes the audio in order to control hardware/software. Ardour can import MIDI data, record MIDI data and allow MIDI data to be edited in a variety of ways. Also, MIDI can be used to control various things withing Ardour. This allows for the most flexible work flow with regards to MIDI. What Ardour doesn't have is any built in synthesis to turn the MIDI data into audio. Rather, this is handled through the use of plug-ins and external hardware/software. While this makes MIDI a powerful tool it can also be a stumbling block for first time users who expect MIDI input to result in audio output by default. Please see the section on working with plug-ins for more information on turning MIDI data into audio output with Ardour. Below is a list of various MIDI Frameworks for getting MIDI data into and out of Ardour in order to work with MIDI aware software/hardware. JACK MIDI is a framework used to comunicate between JACK MIDI software clients. It provides zero jitter and a fixed latency of 1 "period" (the same latency that exists for audio). These ports show up under the "MIDI" tab in qjackctl. Various ways of "bridging" between the native MIDI framework (e.g. CoreMIDI or ALSA) and JACK MIDI, as described in the sections below. Installing Ardour in Linux: introduction. Altitude is a multiplayer 2D aerial combat game. The Mobile Industry in numbers [Infographic].